These are so yummy!! And the perfect thing for toddler lunchtime! I got the idea from Our Best Bites and used a whole wheat pizza dough recipe from Nurture Baby. 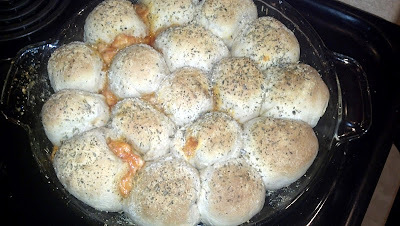 I used all the pizza dough, which made about 30 or so golf ball-sized rolls. Inside these yummy pizza rolls you will find 1/2 package of Publix brand pepperoni, 1 cup of 2% mozzarella (also Publix brand) and 1 jar of L.E. Roselli's All Natural Pizza Sauce. That pizza sauce is so good! It is the only one that has the lowest possible amount of sodium. It's about $4 for a 16 oz jar at Publix. I added some Parmesan and Italian seasoning to the top and voile! All done! YUM! 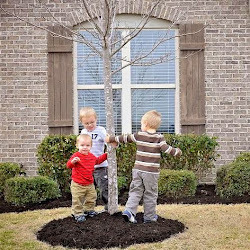 If you have toddlers, MAKE THESE!